Yes you read that title right. 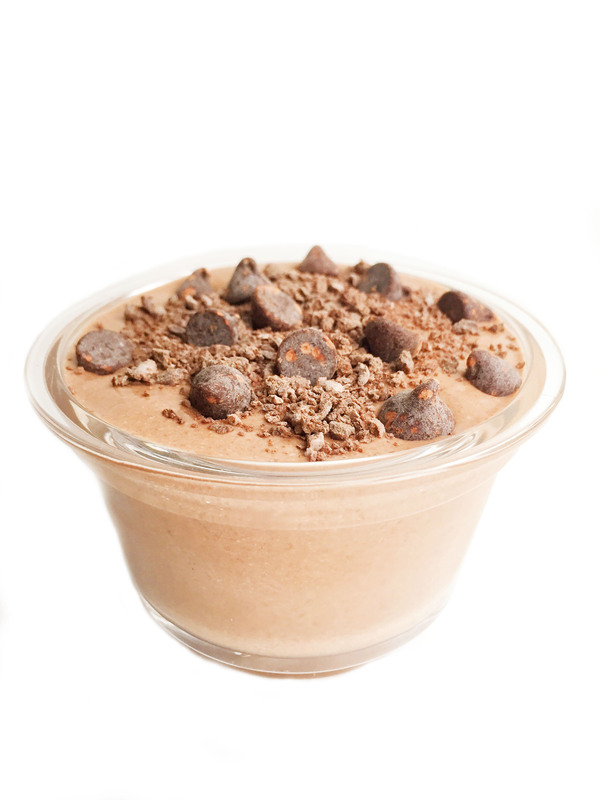 We are using THREE types of chocolate in this vegan & gluten free chia seed pudding today. Why you may ask? Because chocolate is amazing and most importantly cacao is a superfood. It is packed with iron, magnesium and plus it has antioxidants in it. This chia seed pudding is also different from all of my other puddings because of how we are preparing it. Typically I toss all of the ingredients into my mason jar, shake it up and pop it in the fridge over night. This time I put all the ingredients in my NutriBullet and let it blend until it was a creamy consistency. I have to say I love chia seed pudding the traditional way but now it is just more fun to have another way to prepare it. Jord isn’t a fan of chia seed pudding because of the consistency, so this was a way to switch it up and see if it will make him eat chia seed pudding now (will report back once he tries!). 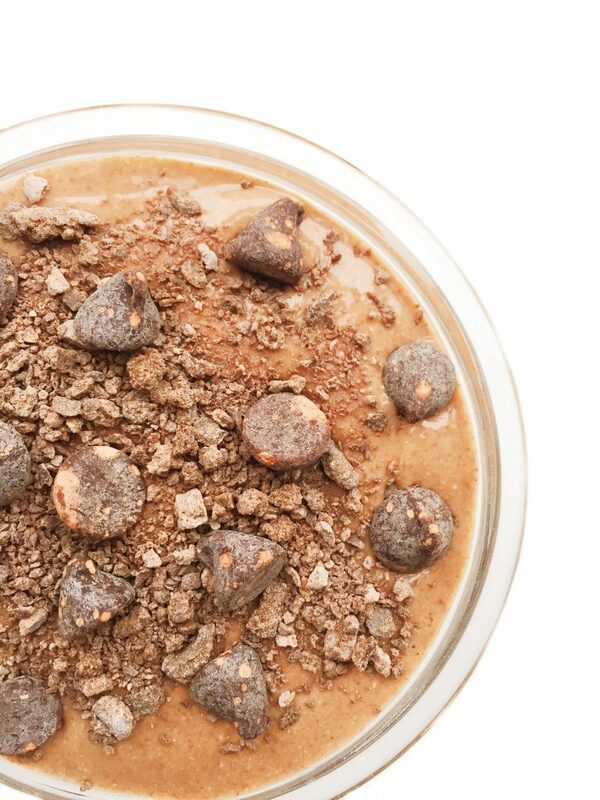 Triple Chocolate Chia Seed Pudding is almost too easy to make. It takes 5 minutes to prepare and then you just put it in the fridge. It is almost too good to be true. The flavors of the 3 types of chocolate plus using New Barn vanilla almond milk adds the perfect flavor blast and creamy consitency in your mouth. 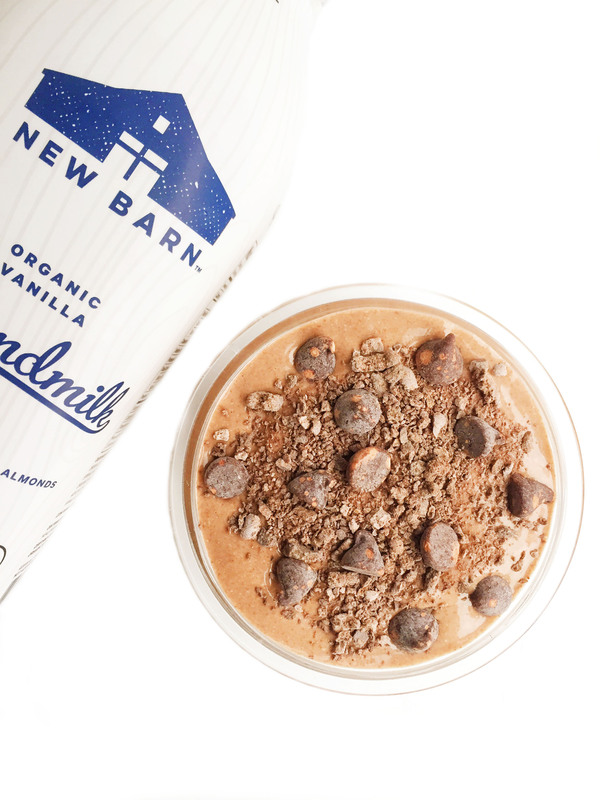 Incase you haven’t tried New Barn almond milk, I rave about it here and here. It is the most pure almond milk you can buy in the grocery store. No weird additives and it is all organic! Needless to say, it is a staple in our fridge. Oh my gosh YUM! 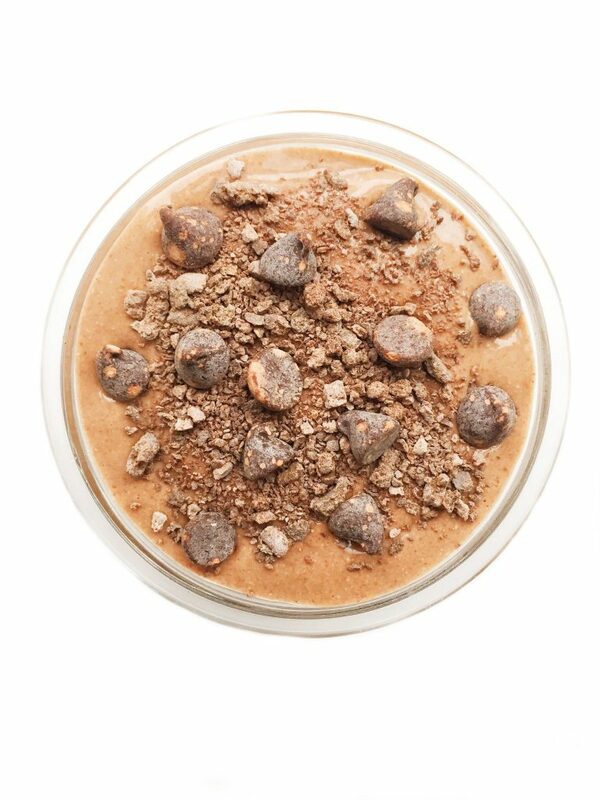 This is the perfect thing for a chocolate craving 🙂 I love that you blended it for a smoother texture- genius! Ohhh this looks and sounds so so good! Always love a good chia pudding! Yesssss keep the chocolate coming!! Any excuse to eat dessert for breakfast is a-okay with me!